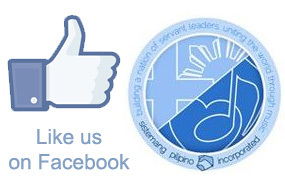 Music Training Programs | Sistemang Pilipino, Inc. When musicians play music together, something else takes over, a kind of power that draws people in, transcends individual differences and social barriers, and creates a shared experience of humanity. Through the rhythmic and melodic sequences of the piece they’re performing, musicians accompany the listeners through a journey on multiple levels: sensory, introspective, fantastical, spiritual, personal, and social, whereby individual identity finds expression, inspiration, and gratification as it takes part in a collective celebration of music. In this discovery, the audience becomes one body; its diverse members captured and affected by the same tune. Music has an organic way of evoking emotions, ideas, and movement in human beings and musicians have a responsibility not only to push the boundaries of their art and abilities but also to use them towards positive and meaningful change in society. Experience has shown us the transformative power of music, how it lends peace to otherwise chaotic environments by bringing people together and inspiring them into harmony. This is made possible because of four core skills that most musicians possess: (1) the ability to express themselves beautifully in their music; (2) the ability to effectively convey the message of their music to people; (3) the ability to attract listeners and elicit an emotional response in them; and, (4) the ability to engage their audience and influence them to be actively involved in the music or performance. Musicians acquire these skills in the course of their extensive training and constant practice and performance. Learning to play in an orchestra instills not only mastery and discipline but also teamwork, respect, and a sense of community, for an orchestra is essentially a community of musicians with diverse instruments, skills, and personalities working together to make one harmonious and beautiful sound. Each member is respected and each contribution is valued and appreciated. They have to be able to communicate with each other and follow instructions, in order to act as one. These too are skills that leaders need to possess to become effective in their roles in developing people, building communities, and instigating social change. This type of music education, not only opens opportunities for artistic expression and self-transformation for our youth, but develops them into a community where they can learn to go beyond themselves, to become persons for others, willing to give back to society, and capable of building as well as leading peaceful and productive communities in the future. This workshop is for musicians/music teachers who (1) believe in the ability that music education has to change the lives of children, and (2) wish to embrace this ability to make an impact within their own communities – musicians who want to make a difference. What participants gain from this workshop? Workshop participants will receive training and materials on the following topics: the basics of teaching general music (including singing and instruments), curriculum mapping, lesson planning, behavior management, assessment, developing a teaching philosophy, and El Sistema fundamentals. In addition, participants will have the opportunity to try out these new skills in front of their peers and receive feedback from experienced educators. Certificates of completion will be given to participants at the end of the course, certified by the Department of Education.